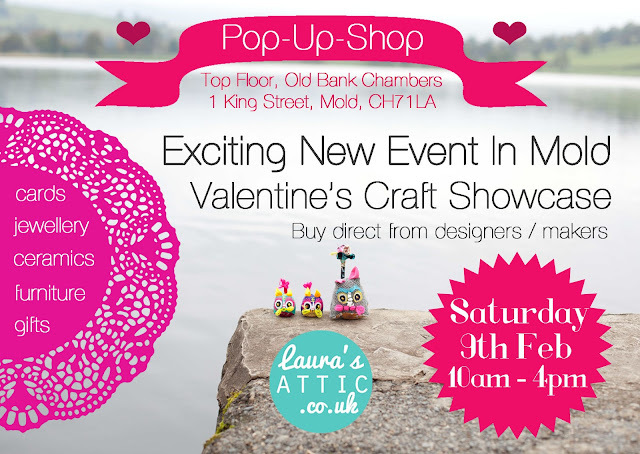 Saturday 9th February is a date for your diary! From 10am until 4pm we will be hosting a pop-up shop brimming with unique handmade loveliness from Laura's Attic and other local designers and craftspeople showcasing their work which includes ceramics, woodwork, knitted items and jewellery. With Valentine's Day in mind, there will be drinks and nibbles available made with love and everyone will leave with a gift bag of goodies from Laura's Attic.